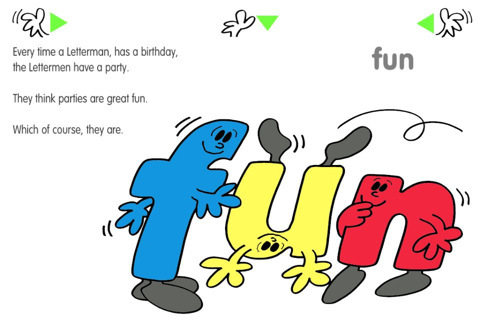 The Lettermen are adorable letters with faces, hands, and feet that go on all kinds of adventures! 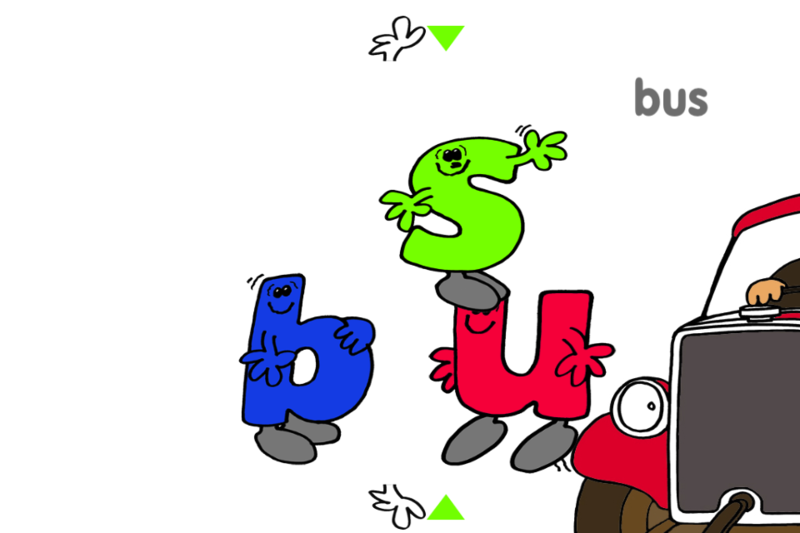 They often follow each other to spell out different vocabulary words and show different emotions. 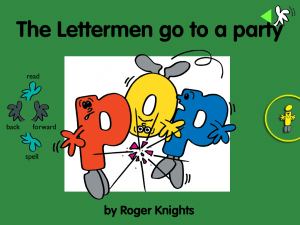 These books, written by Roger Knights, not only teach children about spelling and words, but help them learn vocabulary related to different activities/places. These books have now been made into applications by SN Squared Limited, and you can download them from the iTunes store! To find out more about these great book applications and win a copy of one of these apps, continue reading. Audio - Pressing this allows you to hear the story spoken with sound effects but the user controls the turning of the pages. Pages - You can view through all of the pages of the book to choose one after pressing this. Scroll through to see all of the pages. Automatic - The story will automatically be read and move between the pages. "i" Letterman - Pressing this button allows the user to read information about the Lettermen series, developer of the applications, website, and social media. Left/Right pointing hands - Moves between the pages of the app. Down - Has children spell the word used on a given page by moving the lettermen into the correct order. Up - Returns the user to the book. The different words bolded to be spelled are key vocabulary related to the topic of the book. These are the application version of Roger Knights' Lettermen books and keep the original artwork/words. The applications are interactive and children can spell the words within the images. The Lettermen show various emotions throughout the books. Children can learn some topic related vocabulary from these books. It took a few tries for me to figure out how to find the settings. It would be great if read to me/automatic/read to self buttons were on the main page or a play menu instead of having to press on the screen for the options to appear. Articulation/Voice/Fluency - Have children read the application using appropriate speech sounds/fluency strategies/vocal strategies. Have students use the key words in a sentence with another word with their sound. RtI - Have students blend the key words together or separate them while they spell using the Lettermen. 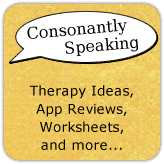 Vocabulary - Discuss the various vocabulary within the application. Talk about what you would find at the place in which the Lettermen visit. Pragmatic Language - Talk about what the student would do if he or she went to one of the places the Lettermen visit. 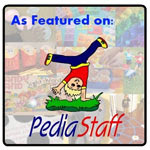 Have children ask each other where their favorite places to visit are. These applications are also great for reducing anxiety prior to attending various community places/events. Talk about what might happen at each place along with related vocabulary. Expressive Language - Have the children state or write a sentence using a bolded word/Lettermen-spelled word from a page. You can even have children write their own Letterman story and draw their own Lettermen! 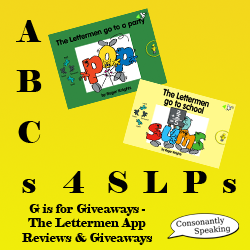 All of the Lettermen applications are available for the iPod Touch, iPhone, and iPad for $0.99. Come back soon for a giveaway of some of these great applications!